Cracks in the secondary containment could have been a big problem if the tanks ruptured. The existing concrete had spider cracks which was a problem for epoxy floor coatings. 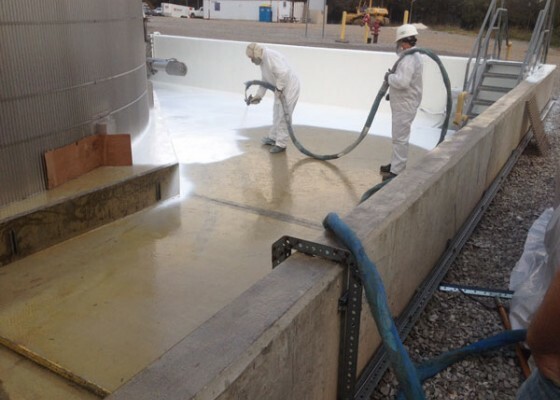 Contracting & Materials, Inc. inspected the problem and recommended a flexible Polyurea coating. This 20,000 SF containment area was coated within one week and was ready for service hours after the application.